ATESOL ACT is the Association of Teachers of English to Speakers of Other Languages in the Australian Capital Territory. Our members work within a range of contexts including school education, adult new arrivals programs, ELICOS, tertiary studies and research programs. We aim to support all teachers and learners of English as an additional language within the ACT. We offer workshops and seminars which cater for all professionals working in the TESOL field and welcome mainstream teachers with EAL/D students. 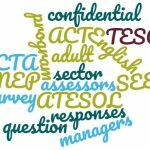 On behalf of the Australian Council of TESOL Associations (ACTA) we would like to thank you for responding to the survey about seeking confidential perspectives on the AMEP and SEE programs in the adult sector. ACTA is co-sponsoring a forum to discuss issues relating to the current Evaluation of the AMEP “New Business Model” on Saturday 2nd March 2019 at the University of Sydney. To register go to the ACTA website here. The 2018 ATESOL ACT Committee has devised some upcoming professional learning events. See the events page.